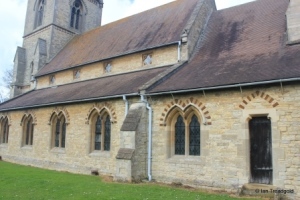 The church of All Saints in Ridgmont is situated in the centre of the village on the High Street. Parking is available on the street outside. 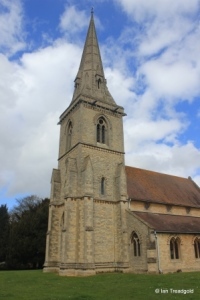 The church dates from 1855 and is a replacement for the old All Saints church of Segenhoe to the south-east of the village. Paid for primarily by the Duke of Bedford, the church was designed by George Gilbert Scott at a total cost of £4390. 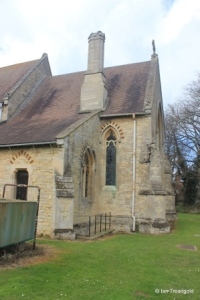 The building consists of a chancel, nave, north and south aisles, west tower with spire and a north porch. 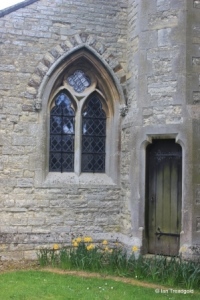 The south aisle has four windows with the vestry adding a fifth and priest’s door as well. 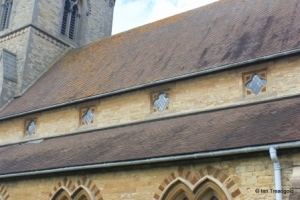 Above the aisle is a clerestory of four quatrefoil designs. 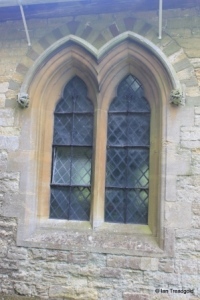 Most of the windows in the church are of a similar style, being of two trefoiled lights under a joint arch. 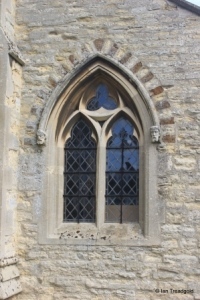 Two of the windows have carved faces in the corbel stops with the other two being floral designs. 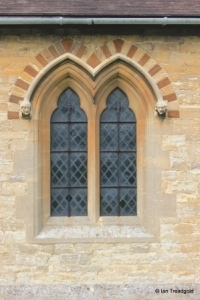 The west window of the south aisle is of two trefoiled lights with a trefoil design in the head under a pointed arch. 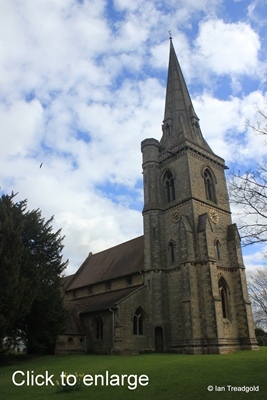 The tower is of three stages with a spire above. 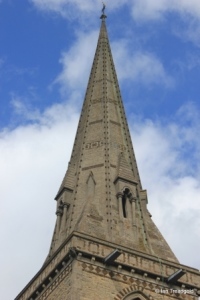 The spire is octagonal with broaches acting as buttresses in the corners. 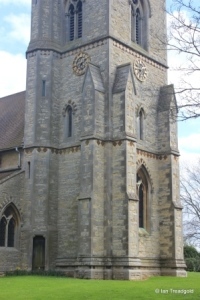 The tower is buttressed with setback buttresses and there is an externally accessed stair in the north-east corner. 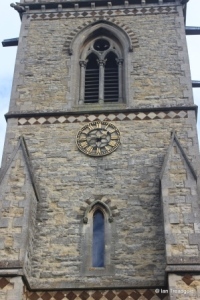 There are clock faces to the north and west of the tower and the clock was added in 1892. The belfry lights are recessed within the arch with columns for the mullions and a circular quatrefoil design above. 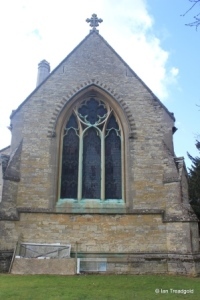 The north aisle has a west window of similar style to that of the south aisle. 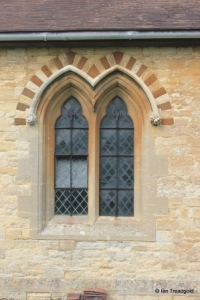 The layout of the windows on the north aisle is a window to the west of the porch and two to the east, all being of a similar design to those on the south aisle. 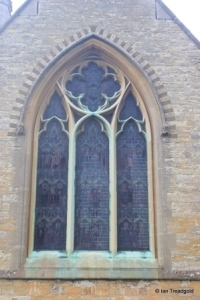 The east window of the north aisle is of similar style to that at the west end of the aisle. 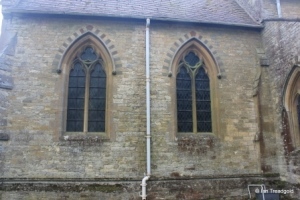 The north side of the chancel has two taller windows, each of two trefoiled lights under pointed arches. The western has a quatrefoil design in the head whilst the eastern has a trefoil design. 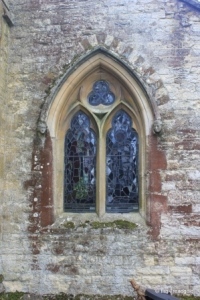 The east window has three trefoiled lights with the outer lights having their own trefoiled tracery under tall pointed arches forming a space for a circular design of four quatrefoils above the central light. 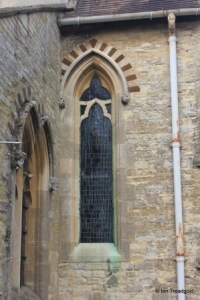 The south side of the chancel is obscured by the vestry and incongruous chimney leaving just a single trefoiled light in the chancel. 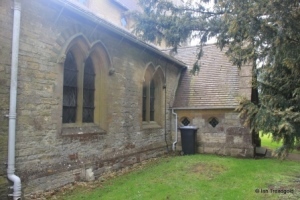 From the compressed nature of the arch it would appear that the vestry and boiler are later additions to the church.